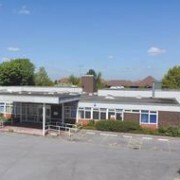 Kent County Council has used “Property Guardians’” for a number of their properties, including this day centre. Camelot Property Gaurdian’s installed a shower, smoke alarms, fire blankets and notices and designating the rooms. This enabled the Property Guardians to move in, and as result of their occupation the site and property remains in good condition and has not suffered any vandalism. The intention is to sell the property and although there has been some interest, the size of the building and the planning restrictions has resulted in the property being on the market for longer than anticipated. The overall cost to Kent County Council is significantly less than traditional Security Firms and the property does not have the usual negative aspects usually associated with empty properties such a boarding to all windows and doors. The lease arrangement ensures that we can obtain vacant possession in a very short time scale to facilitate the sale of the property. Property Guardian’s have been used on these other properties around Kent. The Betty Barber Centre was empty for a period of time and occupied by Property Guardian’s until sold in auction.